Wrestling Observer Radio with Bryan Alvarez and Dave Meltzer is back today with tons to talk about including the Greatest Royal Rumble fallout, New Japan's Saturday show, Bellator notes with Fedor Emelianenko vs. Frank Mir, mailbag and tons more! Fallout from Greatest Royal Rumble, including an apology for a music video that aired. Dave also details this tour’s tough schedule, why the sumo wrestler appeared, Corey Graves’ tweets following the show and more. Raw is also previewed. NJPW Hi No Kuni is next to be reviewed, with the top match featuring Tetsuya Naito defeating Minoru Suzuki to win the Intercontinental title in a match that was more miss than hit. Dave runs down the card., and also talks about the Hirooki Goto vs. Juice Robinson bout from earlier this week. Dave Batista is part of the Avengers: Infinity War movie, which had the biggest opening weekend of all time in the United States. Dave talks about his part in the movie and also the story that came out this week about him originally being Ronda Rousey’s WrestleMania partner. 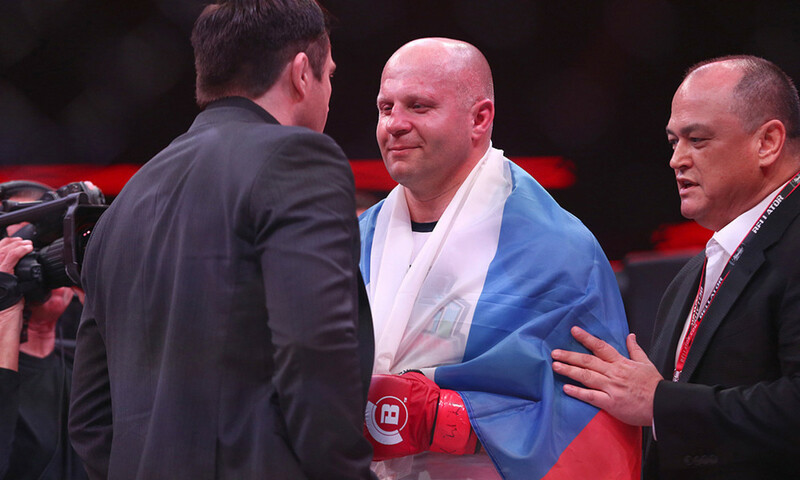 Bellator’s main event on Friday had Fedor Emelianenko knock out Frank Mir in under a minute to advance to the next round in the Grand Prix, next facing Chael Sonnen. After providing an update on a Jerry Lawler/Andre match and a comment on Triple H’s comments about Performance Center trainees, Dave answers mailbag questions including indy talent being brought in by WWE, Ric Flair entering politics, Big Show’s status and why he wasn’t in the Greatest Royal Rumble, the background behind Fedor, the FBI and Michael Cohen’s association with Affliction, Kenta Kobashi’s return from cancer, Kento Miyahara vs. Naomichi Marufuji and what would happen if someone bought WWE and if Triple H and Stephanie would remain.